Newswise — Lawrenceville, NJ, USA—January 21, 2018—ISPOR—the professional society for health economics and outcomes research—announced today the publication of the first report in 20 years to comprehensively synthesize good practices in health technology assessment (HTA)—intended to support population-based decision making for pharmaceuticals, medical devices, and other health technologies. 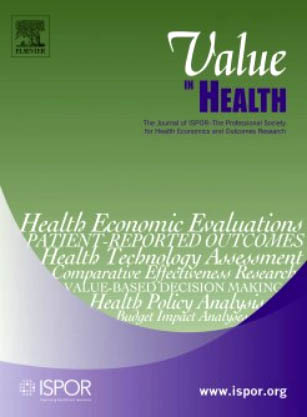 The report, “Identifying the Need for Good Practices in Health Technology Assessment: Summary of the ISPOR HTA Council Working Group Report on Good Practices in HTA,” was published in the January 2019 issue of Value in Health. The paper is the work of prominent experts in health technology assessment (HTA) who are members of the "Overview Of Good Practices For Synthesizing And Using Evidence In Healthcare Decision Making” Working Group of the ISPOR Health Technology Assessment Council. The authors point out that while most research articles on HTA focus on research methods, HTA is defined not by its methods but by its intent, which is to inform healthcare decision making. In keeping with this focus, the Working Group members have provided important guidance for practice. They framed their report around 4 primary themes: (1) defining the HTA process, (2) synthesizing evidence (assessment), (3) using evidence (contextualization), and (4) implementing and monitoring HTA.